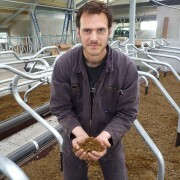 of other types of manure with great ease. The Micro Vacuüm is Keydollars latest innovation. With proven screw press technics and high tech products from the filtration industry this separator has been developed. 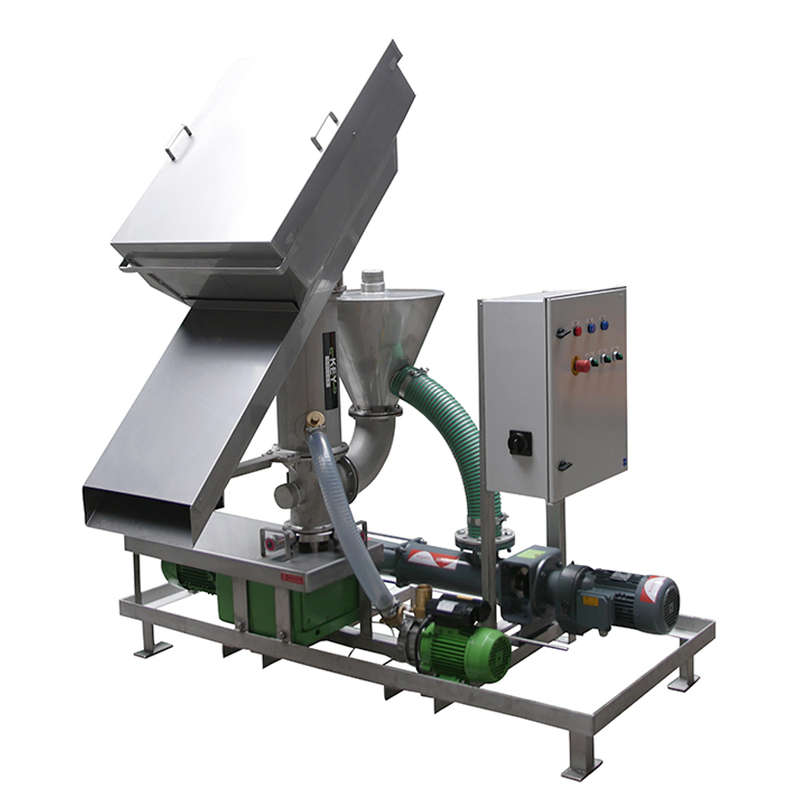 The separator is capable of separating pig manure and liquid fraction of other manure types. 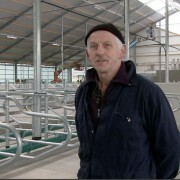 The separator can therefore also be used as a next step after a standard manure separator. The phosphate levels in the liquid fraction is reduced to 0,9 g/kg. This way most of the phosphate gets stuck in the solid fraction and can easily be disposed. By separating manure it’s possible to drastically decrease disposal costs. The liquid fraction of the previous separated manure is separated once again, causing the phosphate levels to be reduced even further in the residual product. This unique new technic is patented and achieves results that are comparable to a centrifuge or a decanter. The auger with a synthetic layer is capable of keeping the very fine screen clean. Because of this the machine can run constantly and efficiently which saves you maintenance costs. Do you require special composition for a manure processing installation, a nitrogen stripper, reverse osmosis or ultra-filtration? 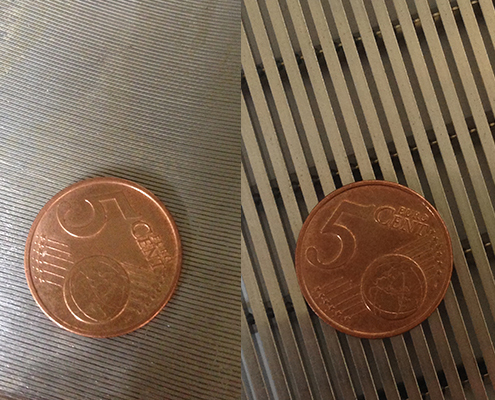 In these cases the Micro Vacuüm-separator is very suitable for those applications. In most cases with the Micro-Vacuüm we can deliver the exact medium composition. A required particle size of under the 100 micron? This separator can produce it. Would you like to use polymer or flocculant and neatly filter the solids with a simple filter technic? Even for this the Micro Vacuüm is ideally suited. The machine has a modest capacity that perfectly fits fully automated round the clock systems that process manure to clean water. This separator is the ideal pre-filtration step that other screw presses cannot fulfill. Are you disposing manure to processors and do you want to minimize the phosphate levels in the liquid fraction? Then you should check the possibilities of the Keydollar Micro Vacuüm-separator. The filters have a width of 70 microns and can match the results from a centrifuge or decanter, only then with a fitting capacity for every farmer. 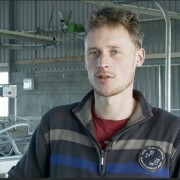 The round the clock quiet process of separation is appealing to many pig farmers. Do you require a product with a certain make up for a manure processing plant, nitrogen stripper, reverse osmosis or ultra-filtration? 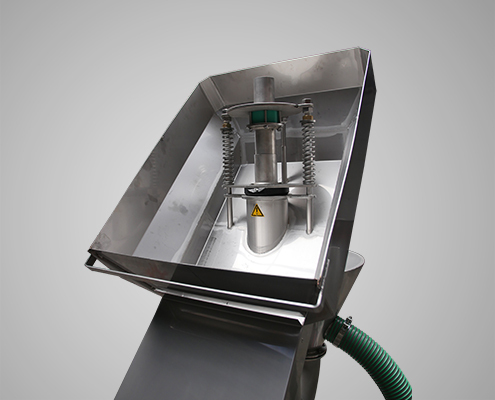 In these cases the Micro Vacuüm-separator is very suitable for those applications. This with machine in most cases with can deliver the exact medium composition. A necessary particle size of under the 100 micron? This separator can produce it. Would you like to use polymer or flocculant and neatly filter the solids with a simple filter technic? For this too the Micro Vacuüm is ideally suited. The machine has a modest capacity that perfectly fits fully automated round the clock systems that process manure to clean water. This separator is the ideal pre-filtration step that other screw presses cannot fulfill. 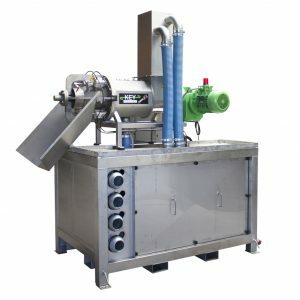 The Micro Vacuüm-separator is a unique machine under the screw press separators. Keydollar has accumulated years of experience in separating veal manure with the Dry Bed manure separator. 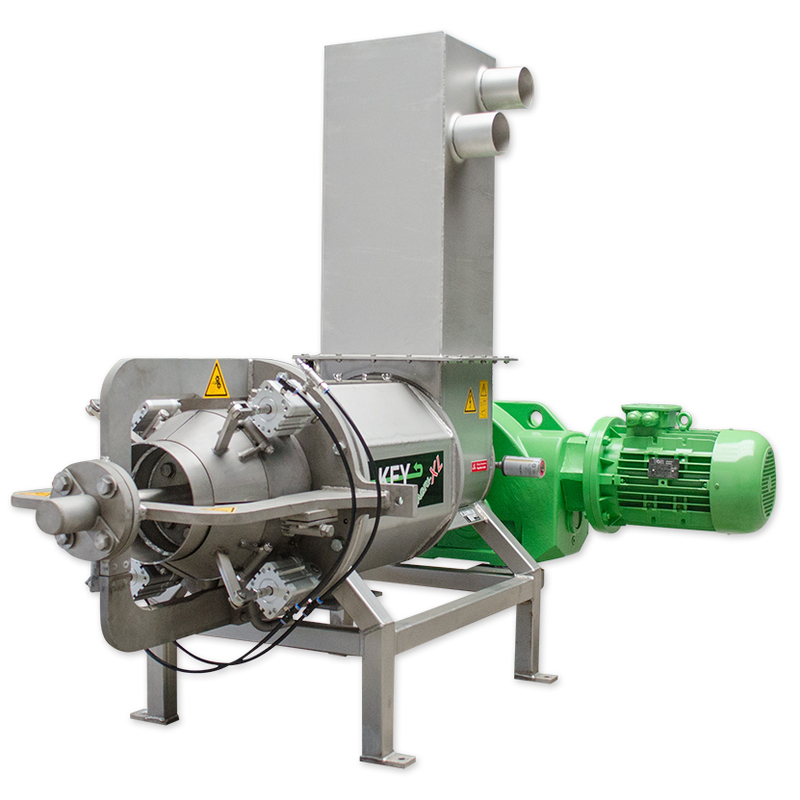 The Micro Vacuum expands on this by delivering the thin fraction even cleaner, making it suited for arable farming or veal manure treatment. 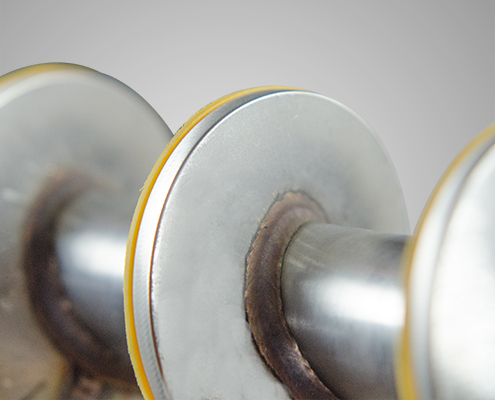 By using stainless steel our separators are practically immune for corrosion. This is important for prolonged use in manure. The Micro Vacuum has a very unique fine filter of 70 micron. To compare: a standard screw press separator has a 500 or 1000 micron filter. This very fine filter combined with the synthetic layer around on the auger allows the Micro Vacuum to effectively separate thin manure (again). The layer of synthetic material covering the auger decreases wear and tear and increases capacity. The layer can be changed and reduces maintenance. 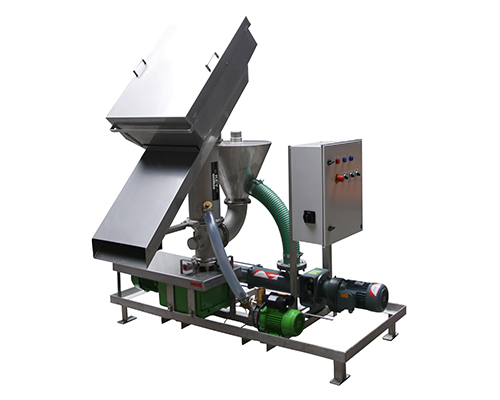 * The capacity of the Micro Vacuum is closely related to the characteristics and the nature of the processed product. Would you like to request an offer for the Micro Vacuum? Then feel free to contact us through the form. Fill in your name and phone number and we will contact you about the costs and benefits of the Micro Vacuum tailored to your situation!